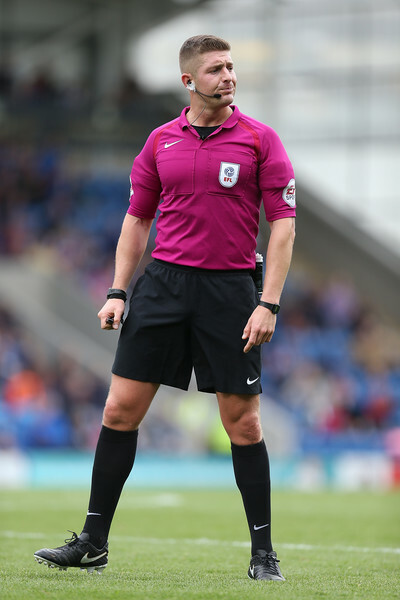 This week’s referee spotlight focuses on Robert Jones, who was appointed the referee for the Norwich City v Swansea City Championship game on Friday, 8 March 2019. Referee Jones was assisted by Nick Hopton and Nigel Lugg, with Stephen Martin the 4th Official for the game. Jones only started officiating in the SkyBet Football League from the start of the 2016-17 season. Prior to this, Jones had spent the previous two seasons taking charge of matches in the National League and the Women’s Super League. This will be Jones’ 23rd Championship game this season, having handed out 73 yellow and 1 red card so far this season. He has awarded 3 penalties, all of which have been to the away side. This will be only the second time that Jones has been the referee for a Swansea City game, both of which have been away games. He was also the 4th Official when the Swans played Leeds United at Elland Road back in February.